The club has had yet another strong financial year, in particular due to the Half Marathon event. This event is a staple on the Canberra running calendar, and it wouldn’t be the great event it is without the work of long time organisers Paul Veldkamp and Vince Craig, and the many club volunteers who support them. The Fun Run retained consistent figures from previous years but was run at a loss. 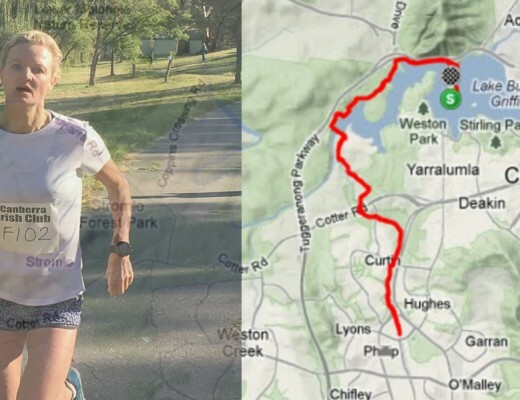 With free and regular events like the Parkrun, there is less of a need for shorter fun runs like ours and due to the effort involved in organising it it is unlikely that the Weston Creek fun run will continue next year. An alternative event is being considered. Recruitment remains a concern for the club with membership levels remaining at a stable level since last year. One of the problems identified by the Committee is a lack of purpose with the decline in club events. The introduction of a Winter Competition may go someway to arresting this decline, and we hope to send good teams to these events. Our strong financial position means we are able to continue to provide generous financial support to athletes participating in interstate and overseas events. The Committee has approved new eligibility criteria to ensure that this support is adequate and targeted at those athletes who require it most. Our Club was again represented in international events, most notably with Martin Dent and Emily Brichacek competing in the 2014 Commonwealth Games in Glasgow. I look forward to seeing many of you out there for the 2015/2016 season.